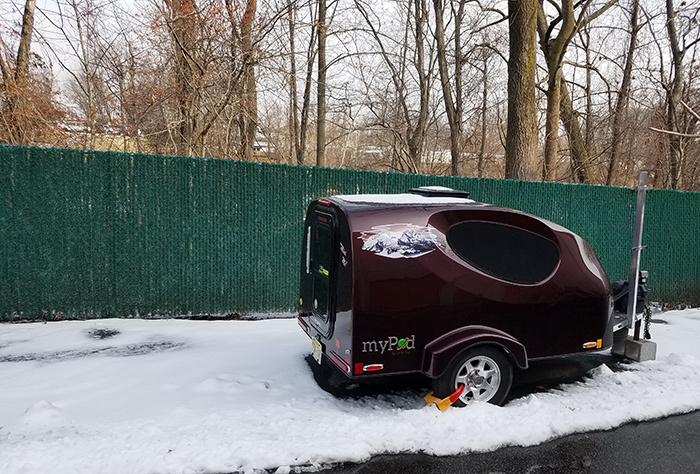 I purchased my 2015 MyPod Max from Miller Trailer Sales in PA in 2016….and have loved it since! 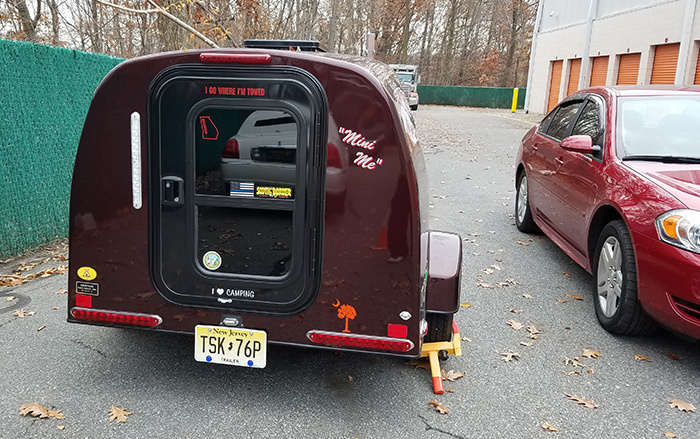 Weighing in at 680lbs dry, fully loaded out for a weekend… maybe 800 lbs. It’s too easy to tow with my 3.6 liter Chevy Impala. 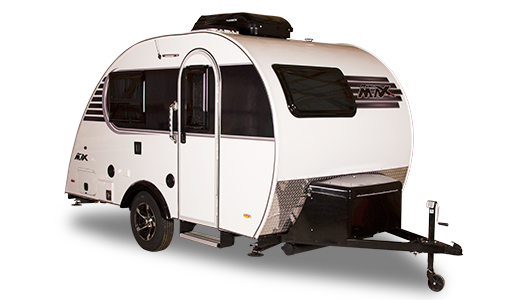 The Fiberglass shell and aluminum frame means almost zero maintenance, outside of detailing and greasing the wheel hubs. 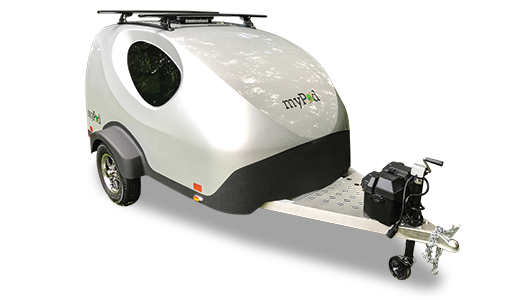 I recently took it on a 9 day – 7 campgrounds trip from New Jersey to Florida and back. I loved every minute of it. I’ve got it down to a 3 minute hook up, and a 3 minute disconnect. I will eventually look to upgrade to a larger Little Guy model in time, but loving this one in the meantime. 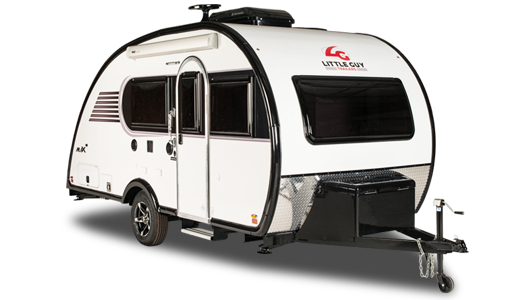 Donald Pratt’s 2015 Little Guy MyPod Max.